Why Everyone Needs a Family Attorney - Law Office of April D. Porter, P.C. Although some people think they need attorneys only for lawsuits and court appearances, every family should have an attorney for many other reasons, too. This does not mean you will be consulting the attorney frequently about mundane matters. It just means you will have selected and possibly met with an attorney at law you can trust for legal issues as they develop. Most families deal with various legal issues throughout life, and you don’t want to have to scramble at the last minute for legal advice if something unexpected comes up. South Carolina family law experts can provide helpful information on a number of relevant issues. Divorce and child custody questions are common. Many families also consider adoption and may need legal assistance. If family members have a prenuptial agreement or separation agreement, a family attorney or a South Carolina civil litigation attorney should possibly be consulted. April D Porter specializes in family law and can assist in matters like these, and others. 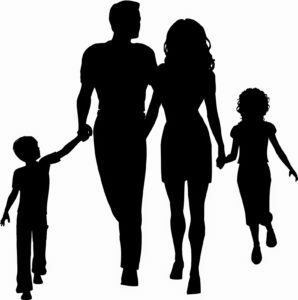 Finding an attorney at law with expertise in family matters is important for many reasons. You may at some point have questions about a potential legal conflict, like a property dispute. Legal matters may arise when a loved one passes away or if the family disagrees over how to care for a loved one with dementia. South Carolina family law attorneys are experienced in legal problems that impact families specifically. They can provide information and guidance when a problem surfaces. April D Porter can answer questions and help family members get any needed assistance. Anyone with concerns about South Carolina civil litigation or family legal problems should get expert advice before making any important decisions. Often, a qualified attorney can save a distressed family member time or money by providing necessary information about the laws that govern certain matters. Before taking action, find out how the law looks at family-related situations.